Buy this item and earn 8 points valued at £0.08. 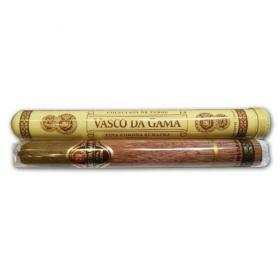 The Vasco da Gama “Whisky Cigar” adds a new dimension to the classic combination of whisky and cigars. 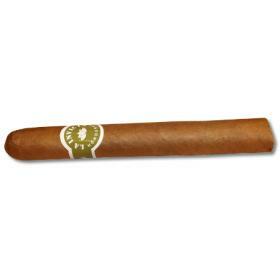 The best hand-picked tobaccos from Sumatra and Java are used for the filler and binder of this fine cigar. They are surrounded by a Sumatra wrapper. 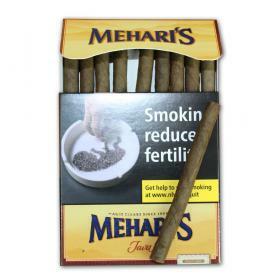 These tobaccos are aged in “seasoned” Scottish whisky barrels used in the distillation process for the famous Glenfarclas single malt whisky from the Scottish Highlands. The Glenfarclas reaches its mild, sherry-toned aroma by ripening in sherry casks. 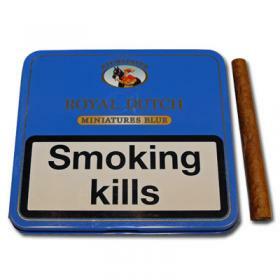 The spicy sweetness, once united with the fine leaves of the Vasco da Gama premium cigar, creates a fascinating interaction between the perfect tobacco blend and the finest art of Scottish whisky distillation. 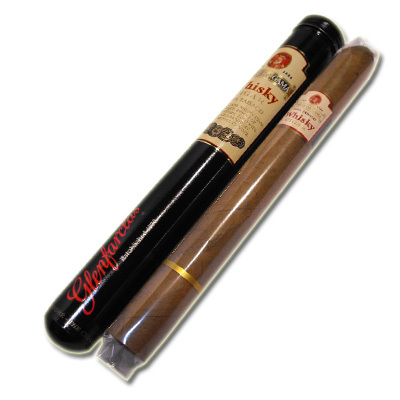 The result is this unique cigar which comes in a representative aluminum tube. 42 x 6"